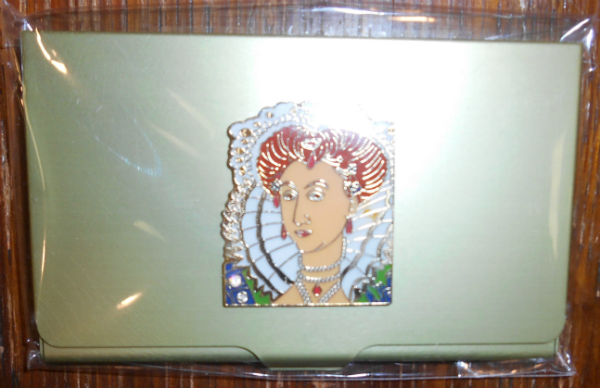 Jeweled magnetic needle case, about the size of a credit card case, from Accoutrements. Keep all your needles handy and safe in your project bag. Let us choose a color and jeweled top for you or call the shop to discuss what is available 650-321-3494. Magnetic needle case with a jeweled top from Accoutrements.